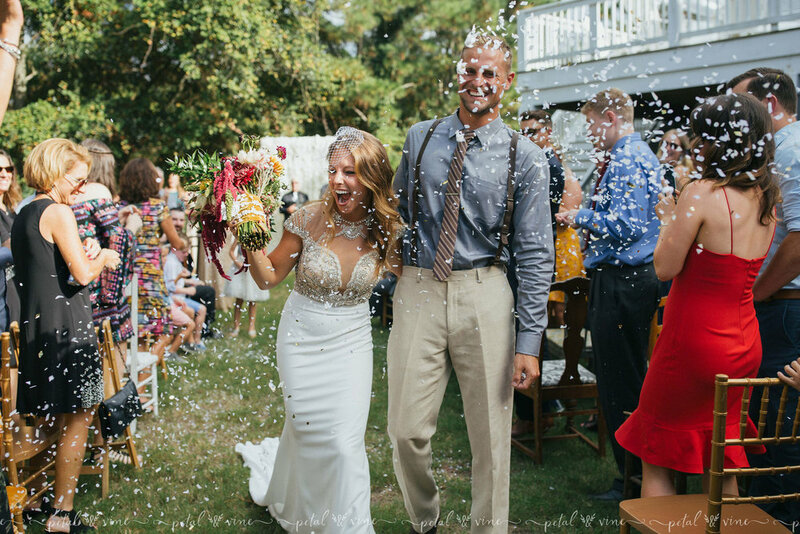 Mark & Rachael’s destination wedding was one for the books. I had a hard time even trying to start this introduction because this wedding was filled with SO many incredible details. Without making it an impossibly lengthy blog post, I settled for just a handful out of the whole gallery to give a little taste of the wedding! 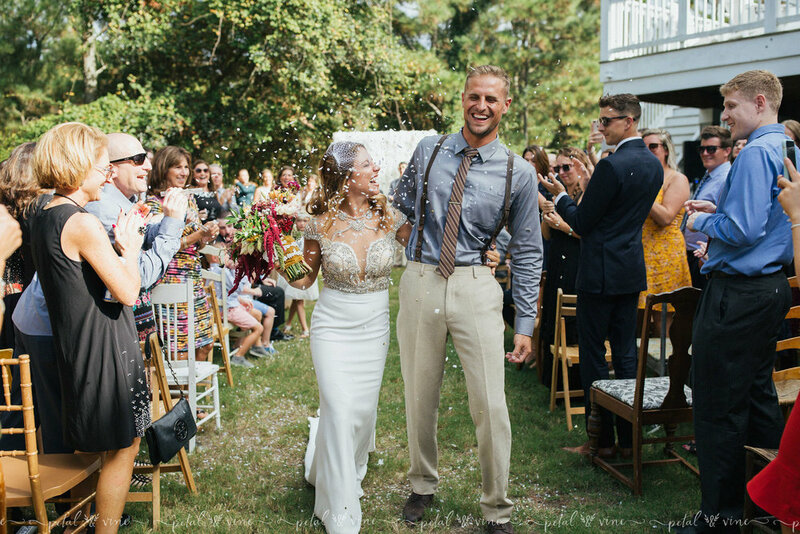 This sweet couple invited family and friends to join them in the beautiful Outer Banks of North Carolina, to witness as they exchanged vows. From Pilates while getting-ready to gettin’ down with their bridal party and guests, the day really was filled with laughter, tears (of joy), and sweat (on the dance floor). Thoughtful touches, like finding a welcome package at my own AirBnB, to decor, to the details and events surrounding their wedding… I hardly have words. Love and personality were infused every step of the way. This wedding definitely had that Vintage 1920’s vibe and I LOVED it. Here’s the best part about all of this: The groom, Mark, is my cousin. So not only did I get to capture and enjoy their special day, but I got an awesome addition to our extended family. It’s a win-win for me! If you are looking for a wedding or engagement photographer in Central Florida, in places such as Lakeland, Lake Wales, Winter Haven, Tampa, Orlando... or parts of Southwest Florida, like Brandenton, Sarasota, and Palmetto, please take a moment to contact Petal & Vine Photography. We are also available for travel and destination weddings. If you're looking for more wedding and engagement photos, be sure to follow our Facebook Page to keep up and SUBSCRIBE to receive updates about specials and updates.